The minister spoke to Advisor.ca about what was in the budget, what wasn’t – and what comes next. Finance Minister Bill Morneau has been busy promoting his first federal budget on both sides of the Atlantic. This week, he continues west to such cities as Calgary and Vancouver, but took time to speak to Advisor.ca about what was in the budget, what wasn’t – and what comes next. Advisor.ca: Your budget closed loopholes on the use of life insurance for business owners, linked notes and corporate-class funds. In light of the global attention the Panama Papers have drawn to tax avoidance, what other tax loopholes might the government close? Morneau: Those are things we reviewed and got to the conclusion that we should make changes. We are not at this stage in a position to talk about future measures as they’ve not yet been considered and concluded on. On the Panama Papers front, we’ve been actively engaged with G20 countries on ensuring that companies pay their fair share of tax in the jurisdictions in which they earn their money [through] the base erosion and profit-shifting initiative. At the most recent G20, we spent a fair bit of time getting to common reporting standards globally in terms of where the money is coming from into countries. In our budget, we put an additional $444 million into CRA to make sure that we are effectively collecting taxes due, and to also go after individuals evading taxes. Advisor.ca: Are you considering raising income, capital gains and/or sales taxes? Morneau: The tax measures we’ve considered are in the budget. But we are going to carefully review our tax code to make it simpler, and our tax expenditures to ensure that they’re fair for Canadians. We believe there are measures that benefit small parts of the population and not others. We are likely to find things that should be considered and things that we will want to rethink. Advisor.ca: You’ve personally committed to CPP reform within the year. What baseline of reform would you like to see? Morneau: We’ve committed to work together with the provinces to enhance the CPP to deal with current and emerging gaps in retirement readiness. We recognize there are many young Canadians not saving enough and also see that firms have changed or eliminated or never picked up pension plans, which means that the next generation may be worse off than the current generation. Our approach is working with the provinces to see if we have the ability to get agreement that we can move forward on a CPP enhancement. I’m cautiously optimistic that we can, but as you know, this is something that needs to be negotiated. I’m working on that now. Advisor.ca: How are discussions progressing? Morneau: We have a meeting scheduled in June to summarize those efforts for finance ministers from the provinces and myself. My hope is that we’ll make progress at that meeting in such a way that the work between June and December can enable us to get to some form of agreement. Advisor.ca: How does the expansion of the Ontario Retirement Pension Plan to other provinces affect those talks? Morneau: Ontario is clearly at the vanguard on this issue. They’ve pushed forward on pension enhancements. My sense is that they’re focused on retirement dignity for people in Ontario, so in that regard we share their concern. Our collective challenge is making sure we meet our goal of improving the retirement situation for people in Ontario and across the country. Advisor.ca: Would you proceed even if not all provinces support the plan? Morneau: A threshold of seven provinces comprising two-thirds of Canada’s population needs to be met as part of the CPP agreement between the federal and provincial governments. But suffice it to say that Ontario with such a significant percentage of our population is critically important. 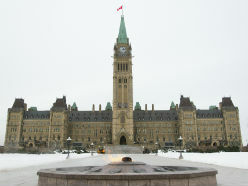 Advisor.ca: The government has committed to scrapping boutique tax cuts, and has followed through on many items. Do you have your eye on other niche items, such as the volunteer and search and rescue tax cut, or the one for public transit users? Morneau: Any tax changes that we are considering will be considered as part of the [tax-code] review. Anything that we’ve already determined was in the budget, and there are no other conclusions we’ve gotten to at this stage. Advisor.ca: You’ve also introduced the Teacher and Early Childhood Educator School Supply Tax Credit. Is that not simply substituting one favoured constituency with another? Morneau: Our view was that this is a group of people who pay money for tools that they use in their work, like other professionals and tradespeople have the ability to purchase tools they use in their work in a tax-advantaged way. We see that as consistent with the current approach in the tax code. Advisor.ca: Alternatively, you could give the provinces, which have jurisdiction over education, money earmarked for school supplies. Morneau: There’s always more than one way to achieve the same goal, and we think the way we’ve chosen works. What’s new with CPP, OAS and EI?